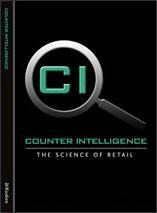 Counter Intelligence POS Software is a true multi-location Point of Sale solution for the modern retailing enterprise. The core Counter Intelligence Office & POS Software product offers the functionality that will satisfy most retailers: Multi-Store, Warehousing, Live Stock & Sales updates across your enterprise, stock transfers between stores and warehouse etc, an exceptionally easy to use POS Entry Screen, Stock Control - including size, colour & style matrix, Extensive Stock, Sales and Audit Reporting, Debtors (Customer Shop Accounts), Suppliers, Product and Shelf label printing, Banking, General Ledger, Lay-By, Customer Loyalty, Promotional Pricing and much more. In addition to the core Counter Intelligence Office & POS Software product are several 'Add-ons' that can further enhance your business. They include: EFTPOS terminal Link Software, additional Back Office users and "e-Retailer" online store interfaced to your POS System. Counter Intelligence (Multi Store) Software comes in two parts: Counter Intelligence OFFICE (for use at a retail store, branch office, warehouse or head office) and Counter Intelligence POS (for use at the Point of Sale). They may operate together on a single PC or on separate PC's networked via a local area network (LAN) within a single store, or commonly, for the multi-store owner, Counter Intelligence POS Software would be installed at each store whilst Counter Intelligence OFFICE Software would be installed at a branch office, warehouse or head office location. In this case, communication between each CI POS & CI OFFICE is via an internet connection. Counter Intelligence POS Software is truly multi-locational, meaning that each retail store has an individual entity within the enterprise. Sales data can be retrieved either in batch form, on usually a daily basis, or the system can be setup as "live feed", meaning all POS terminals and office locations are continuously updated enabling for more timely decision making. Stock, Customer enquiries, Lay-by and Customer Loyalty up-to-date information can be viewed at all stores and offices instantly. eg. if a potential customer is standing in, say store "A", and wishes to purchase a $500.00 pair of shoes in-which store "A" has no stock then the POS operator can quickly check stock availability at other stores and sell the shoes on this basis. PROSPA PAY Buy over 13 weekly payments of $ 522.31 (ex. GST). No Interest ever and No Fees if you pay on time. Contact Prospa Pay online at PROSPA PAY or call 1300 706 983 for a simple over the phone application. No obligation.